This month, we introduce you to the writing of awardee Claire Squires. They launched the wherry as the rain began to fall, and headed north across the dark river. Their kit lay across the flat bottom of the boat; the ladders, and the old and new ropes. Each one thought ahead to the Dome, standing solid at the centre of the city, seemingly unassailable, but their target for the evening. Aly felt her stomach twist and tighten, mingled anticipation and fear. At her side, she felt Paw’s eyes trained upon her, but she didn’t turn to meet his face. She glanced across the boat at Murdo, who smiled back crookedly. She closed her eyes, and imagined the heights ahead. The easy route up the back of lower storeys of the building, and then the set of statues that ran all the way around it. A quick push onto the first, flat roof, but then the circular base of the Dome. Murdo and she had discussed their plan earlier, drawn diagrams and envisioned their route. The crux, they had decided, was at the beginning, getting traction onto the dome itself. It had none of the usual embellishments, but was sheer, sloping, and – they feared – slippery smooth. They’d worked out that their only chance was to get a good rope point over the statue at the top. Murdo had been practising all week, taking lessons from the men. The wherry reached the northern shore. Murdo jumped ahead into the mud, running the rope up to the mooring. His father followed, and then all the men heaved it forwards so it was hidden from view. They stood quietly for their final briefing. They moved through the streets, melding into the shadows cast by the tall buildings. They walked rapidly, the only noise the rough fabric of their clothing rubbing against itself. They skirted the art towers, its red-lit finials reaching high into the sky. Aly read its routes, seeing how she would tackle its verticles. She fell behind the group briefly, as the red lighting shifted to blue. ‘Wish you were climbing that tonight?’ whispered Murdo. Aly nodded, and they continued through the dark streets to the Dome. 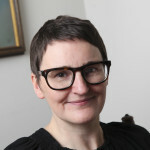 Claire Squires is Professor of Publishing Studies at the University of Stirling, where she runs the Stirling Centre for International Publishing and Communication. 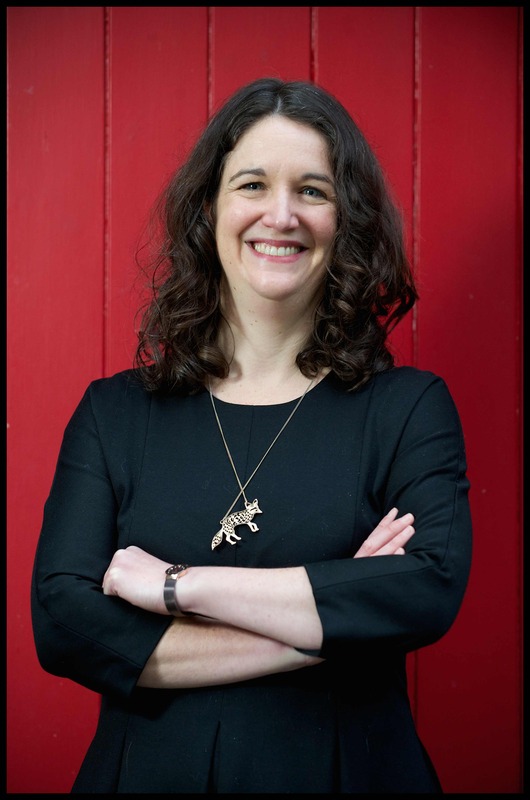 With the support of a Scottish Book Trust New Writers Award, she is writing a novel for teenagers, set in a city loosely based on early 20th century Glasgow. Her academic publications include Marketing Literature: The Making of Contemporary Writing in Britain (Palgrave Macmillan), and critical works on Philip Pullman and Zadie Smith. She also writes an occasional commuter blog, Central Belt Shuffle.